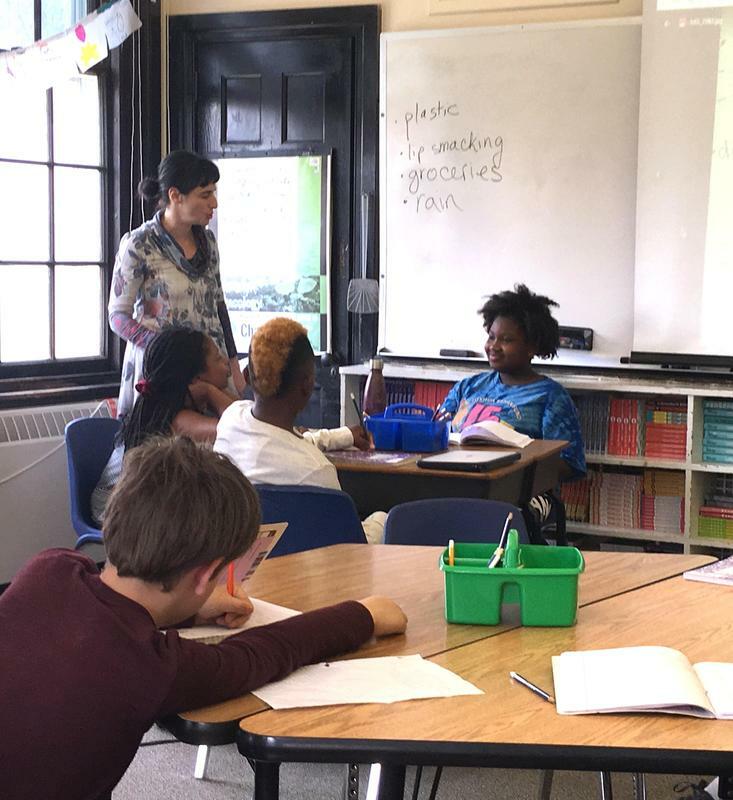 As part of her eighth-grade social justice project, one of our students taught a lesson on poverty to fifth and sixth graders. Students learned about the concept of redlining and the systematic process of creating areas that are underserved. This led to meaningful sharing from the kids regarding the differences they notice in their own neighborhoods, as compared to others. 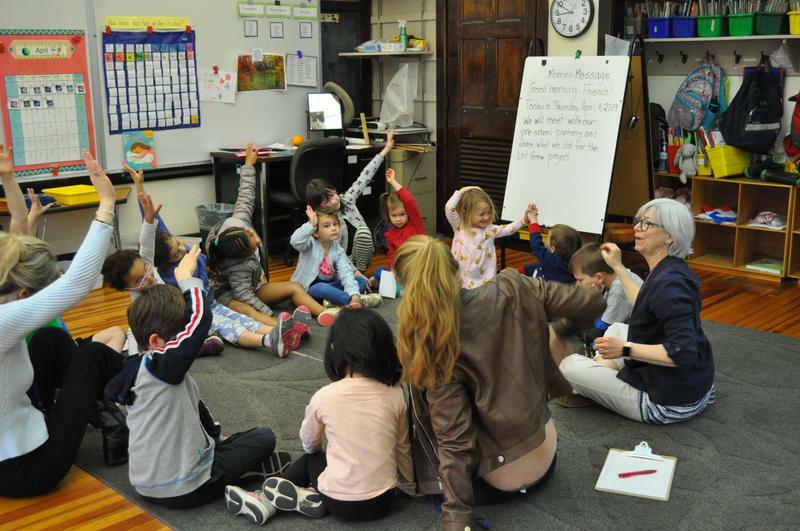 In preparation for our Celebration of the Arts on April 25, grade 1 friends created personalized postcards to invite their family and friends to the show. Students are very excited to share their work with everyone and even gave a sneak preview of what to expect in their galleries! Small Acts, Big Impact! 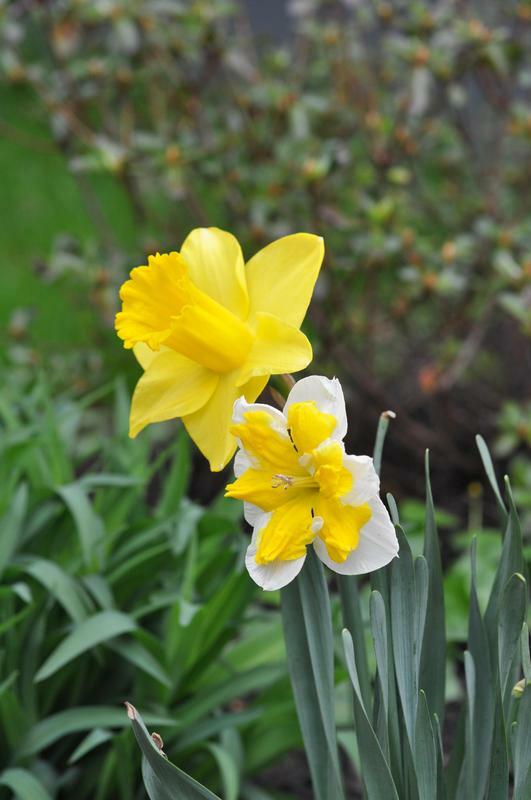 Look around the school at the beautiful daffodils in bloom. They are the result of Small Acts, Big Impact from our partner group plantings this past fall. Working together made a big impact of color this spring. Middle School celebrated #NationallPoetryMonth w/ a visit by @OlgaLivshin, an FSH parent, poet, writer, & translator. 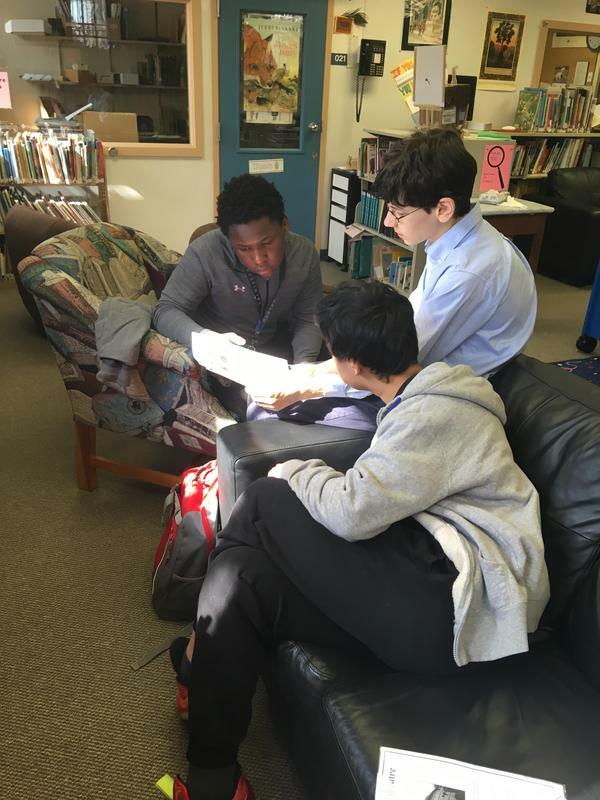 Olga transformed MS Eng classes into poetry workshops, encouraging students to see poetry as a means of engaging in the world we live in & the challenges we face. Nora from The Seeing Eye organization brought in a very special friend to Tr. 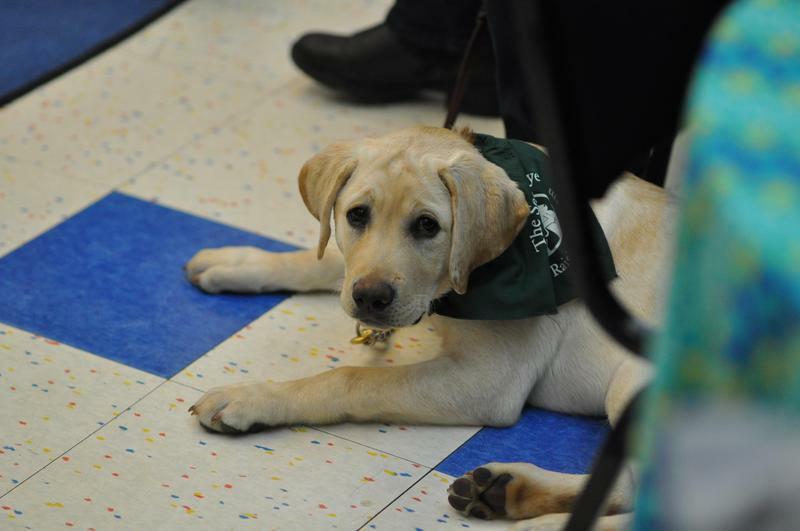 Tippi's 3/4 Service Club today - Sargeant, a 16-week old puppy in training! 3/4 Service Club members are very interested in how people and animals can help one another. Nora spoke to the group about her act of service raising a puppy for someone else's use as well as sharing how animals can promote kindness and curb bias. As a future service dog, Sargeant is getting used to going with Nora everywhere including restaurants, grocery stores, airports, and schools. We are so proud of our students for taking part in the Let Grow Project. Friends gathered in partner groups today to share their achievements. Projects ranged from "getting dressed by myself" and "using the stove to cook for the first time" to "riding a bike myself" and "walking alone". It was evident that the students felt proud of themselves. Each accomplishment was documented on a green leaf. 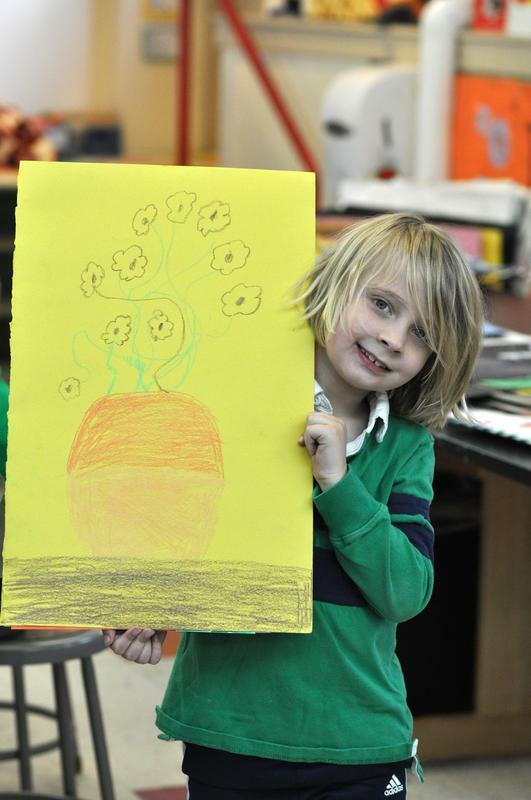 Our Let Grow Tree will sprout in the School House between now and the Celebration of the Arts. 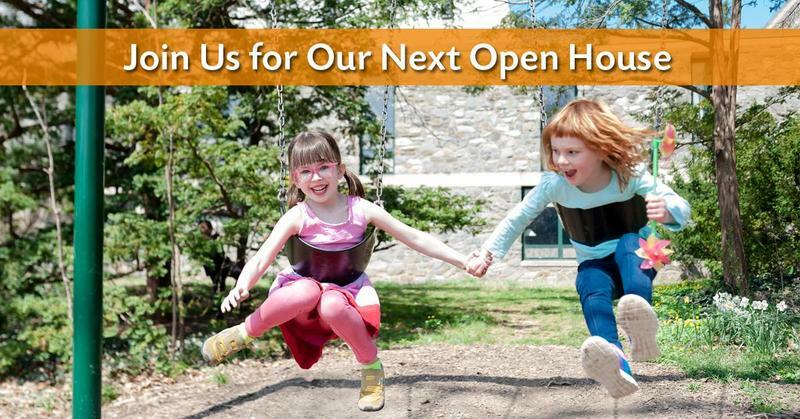 We can't wait to share all of our students' proud moments! Nursery school friends surprised Tr. Marita with a birthday party this morning! They baked, frosted, and decorated cupcakes together. 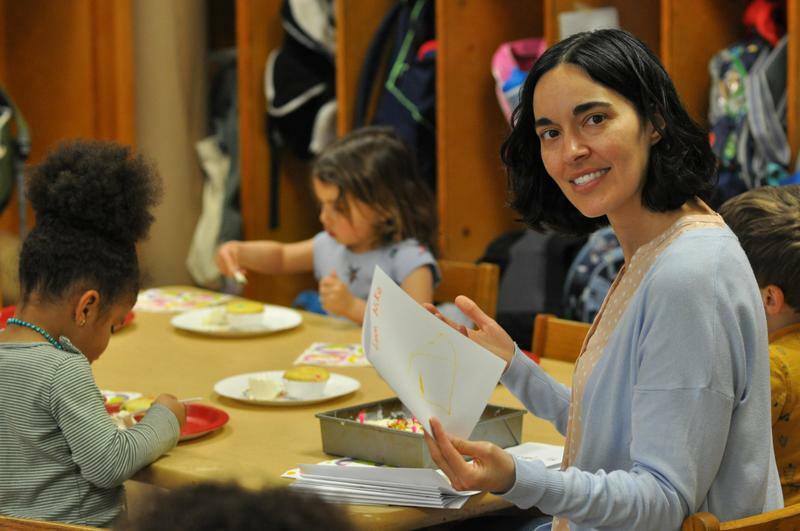 Students presented her with a homemade cake and cards, then learned to sing happy birthday in Spanish. Feliz Cumpleaños Tr. Marita! One of our preschool parents who is a general dentist came in today to speak with preschool and prekindergarten about dentistry. 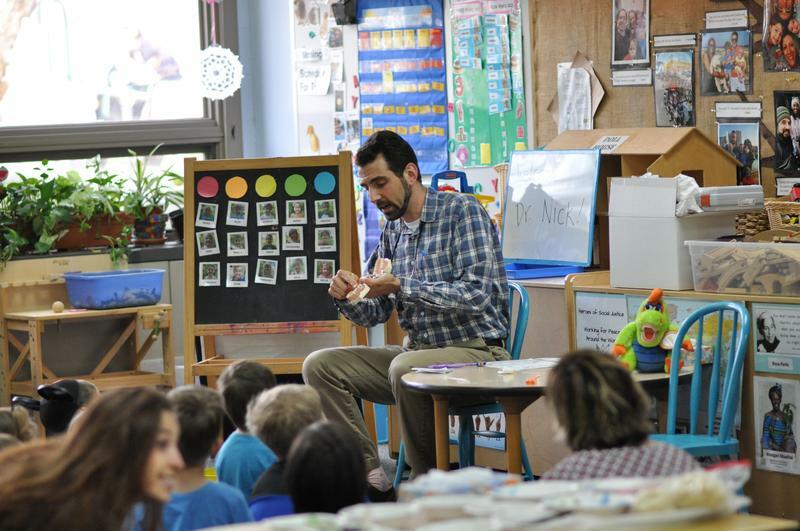 The students learned about their teeth and the importance of good dental health. They asked smart questions and got an up-close look at some dental tools. 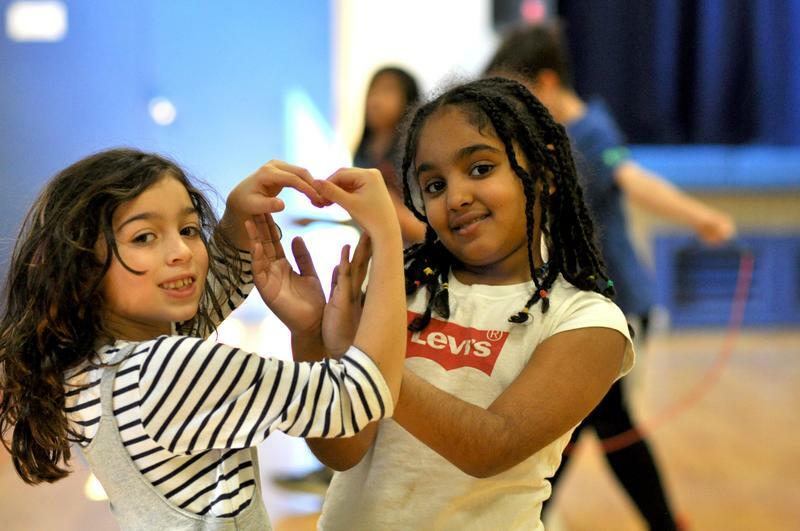 Grades 1-4 jumped their hearts out for the annual “Kids Heart Challenge” (formerly Jump Rope for Heart) fundraiser today. The challenge was to jump for 1-1 1/2hours straight. The students worked in relay teams to accomplish their goal and did an outstanding job. 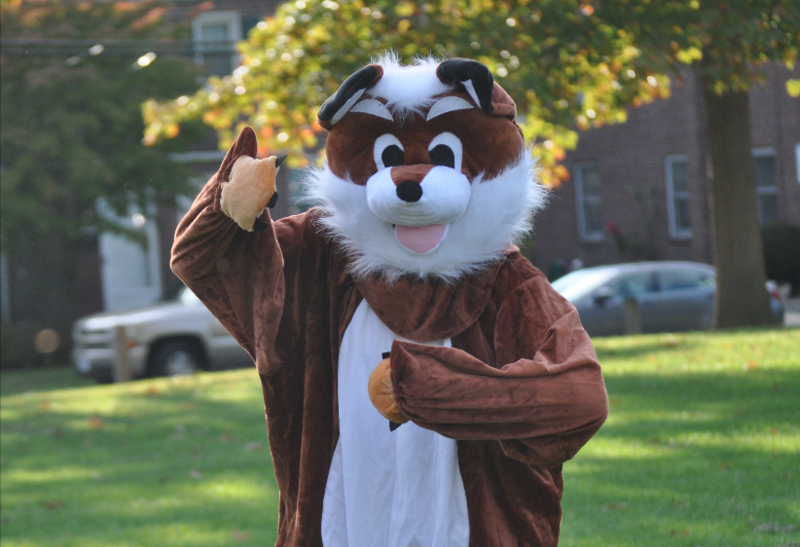 Money raised benefits the American Heart Association. Forest Edge Nursery has been learning all about architecture and building. They began their unit of study by reading plenty of books about engineering. The class favorite was "If I Built a House" by Chris Van Dusen. Students drew their own blueprints of what their dream house could look like and then constructed houses out of blocks. They then created an entire city using repurposed cardboard from the library renovations. 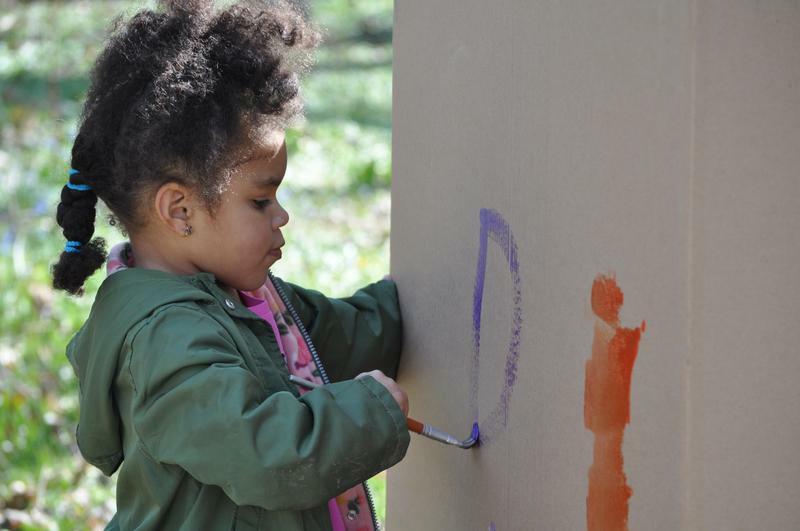 After they assembled their cardboard town outside, they painted murals on the buildings using sponge letters, roller paint brushes, animal shaped-sponges and a variety of other painting materials. Three-year-old imaginations soared as they ran back and forth from the houses, visiting friends, popping in for a visit, waving through the windows, and back out again. Painting al fresco on a beautiful spring day is part of the joy of childhood. Our gymnastics club put on a spectacular show for parents, teachers, and friends. 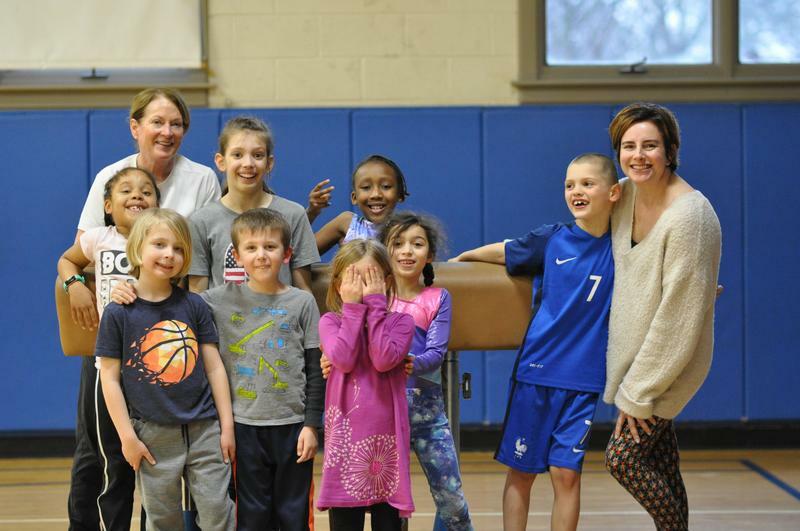 They demonstrated tumbling and skills they learned on the springboard, beam, and trampoline over the past eight weeks. Way to go gymnasts! After completing their study of "The Tempest", the 7/8 grade class participated in a Shakespearean Escape-the-Room activity in the library. As students searched for clues, they learned a bit about London in Shakespeare's time and The Globe Theater. 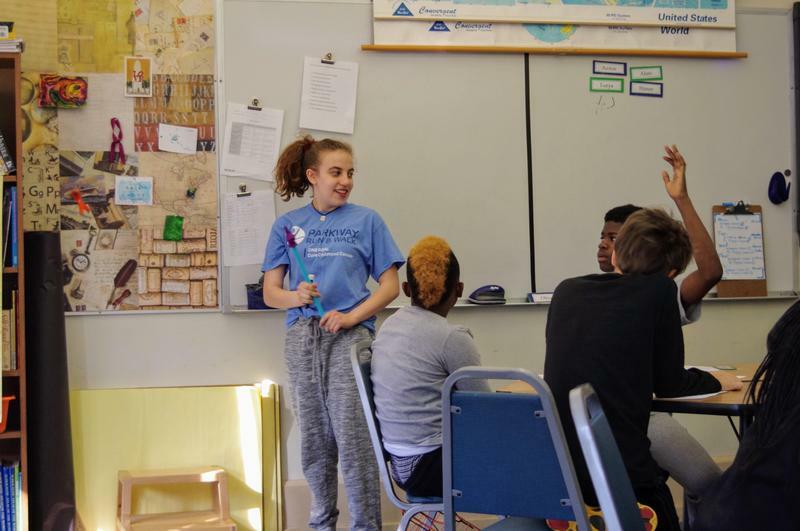 They practiced team-work, critical thinking, and communication skills as they puzzled over riddles to track down a long-lost Shakespearean script--a perfect way to end our revels before spring break! 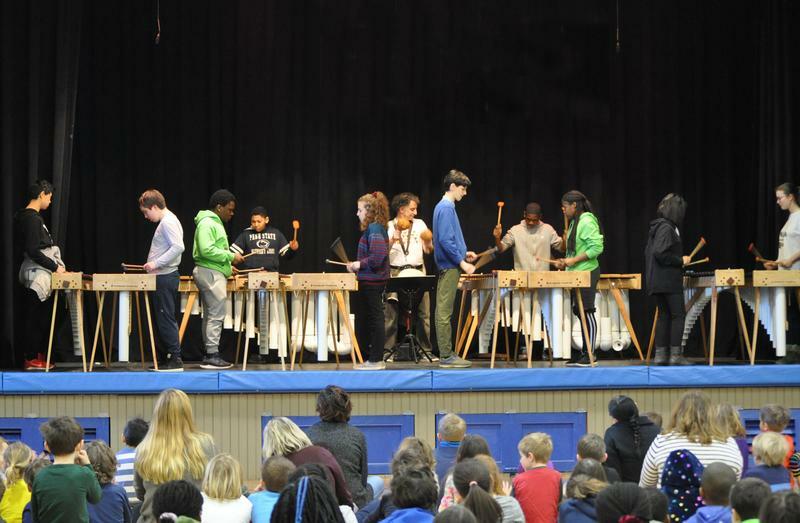 Our Kwaya Marimba performed several songs for students and faculty in anticipation of their spring concert tour. 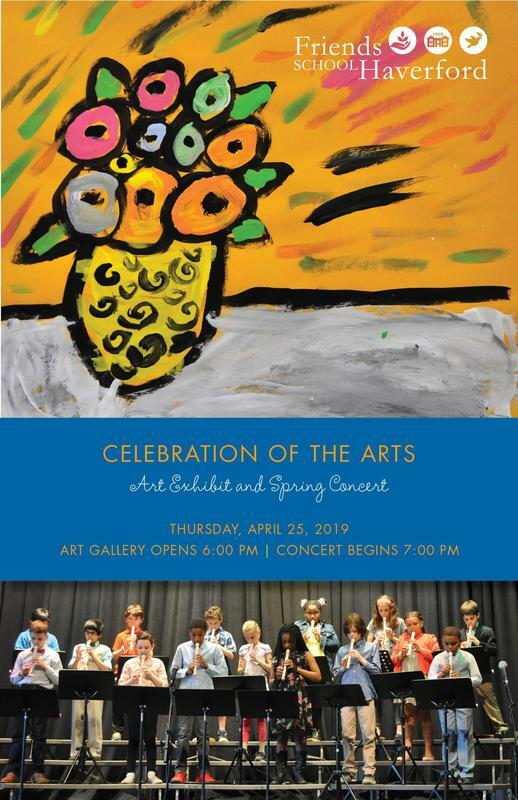 They will be performing at WRTI studios on April 4, 2019, at 1:00 pm, and at Friends Central on April 12, 2019, at 9:00 am. 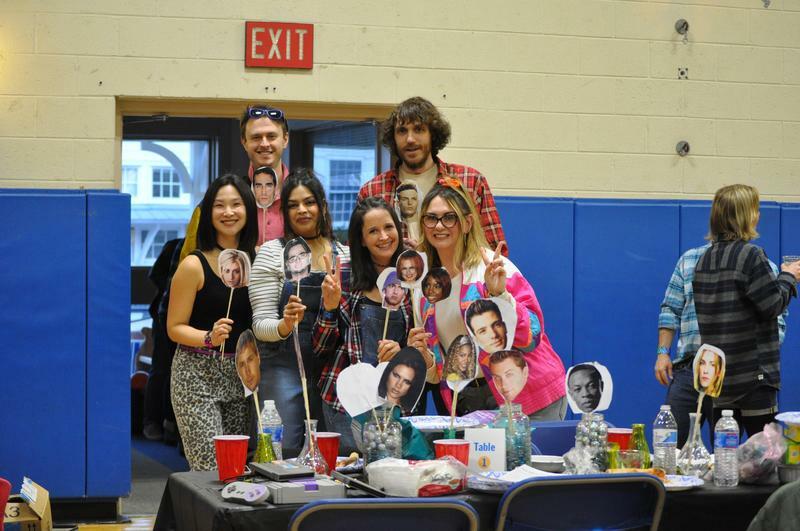 Parents and friends came out for a rousing Trivia Night on Saturday. 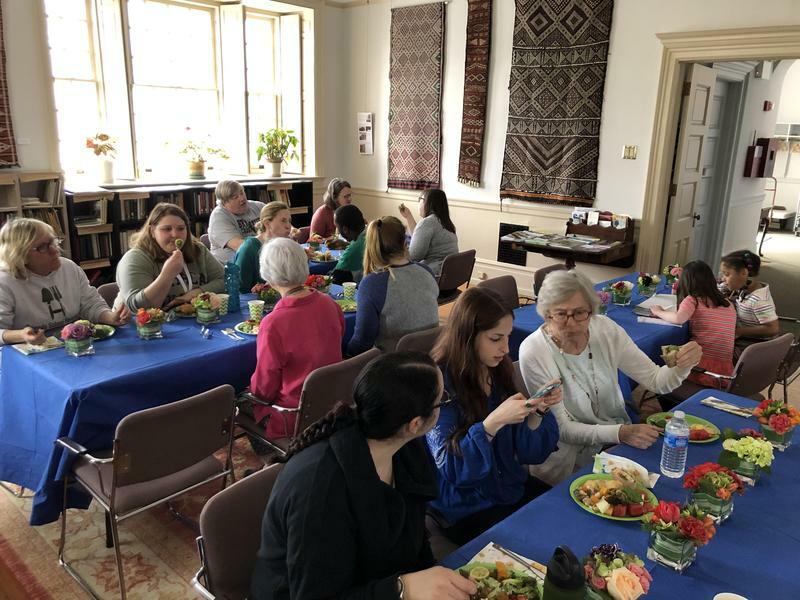 In the spirit of the 90s theme, participants dressed up in their favorite 90s movie/TV attire and decorated their tables accordingly. Teams of eight competed in 10 rounds of 10 questions on a variety of topics. Some of the TV/movies and themes represented were Jurrasic Park, Star Trek, Saved by the Bell, music and 90s pop culture, and grunge. It was an exciting, challenging, and fun night of friendly competition. The grand prize of bragging rights went to Heritage House parents. 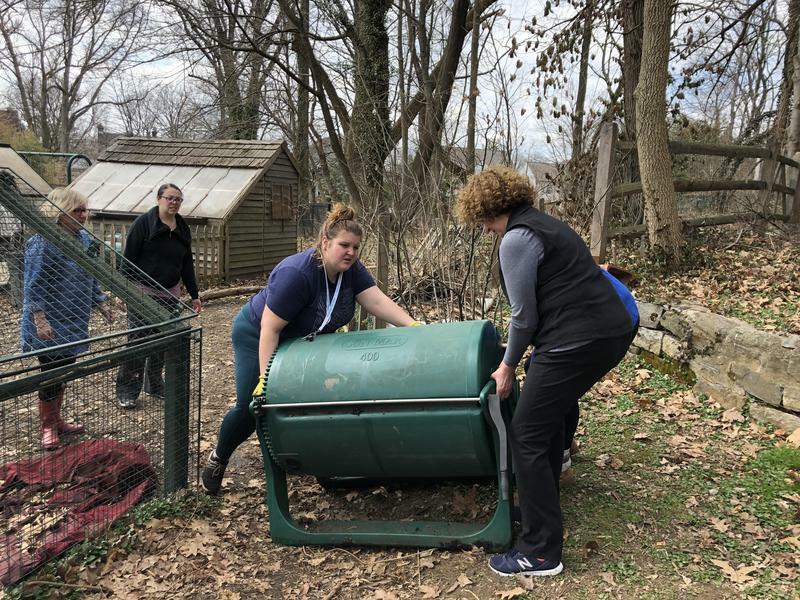 Heritage House teachers took time on Friday to do some spring cleaning around the potting shed, greenhouse, mud kitchen, bike shed, and outdoor play spaces. They repositioned one of the compost bins so students can access it easier which we hope will result in more compost for our gardens. 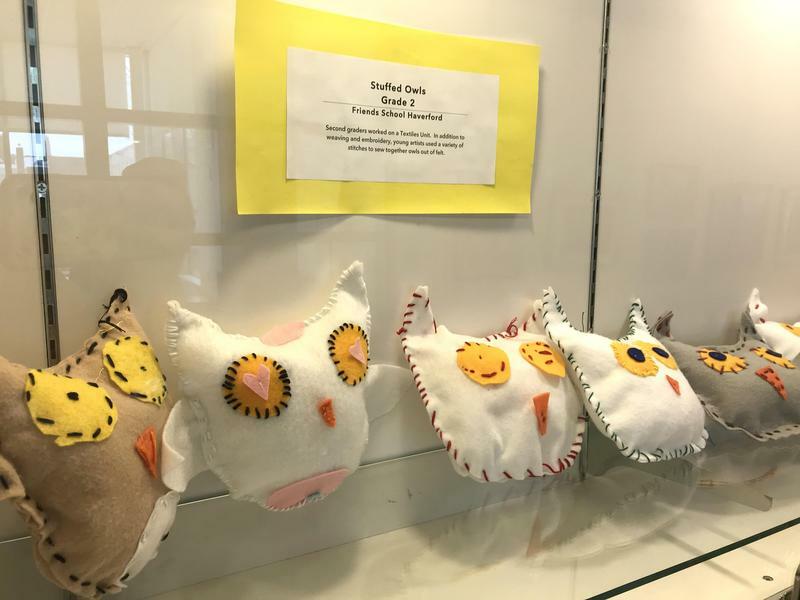 Stop by the Ludington Library in Bryn Mawr to view artwork by FSH nursery-8th grade students. These pieces, inspired by animals, books and various artists, are on display through March 29.